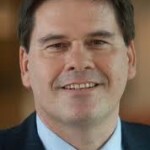 Many commentators believe that the G20 Leaders Summit has lost its purpose, having been set up in 2008 to address the GFC. But even though the global economy is no longer in such critical crisis, the G20 has an important role to play in providing the political momentum to continue improving the future of the global economy. Global growth continues to decline, including since February 2014 when G20 Finance Ministers and Central Bank Governors committed to introducing national policy measures to lift global growth by more than 2 per cent over five years. The G20 leaders will need to strengthen these measures if this target is to be met. At the Summit, each G20 government will submit the specific policy measures it will implement for the G20 to collectively achieve the growth target. These individual actions will be compiled into the Brisbane Action Plan. 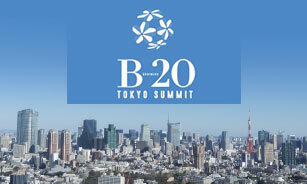 In contrast to the G20 model, the B20 Business Summit of leaders and organisations has presented a unified set of economic policy proposals to the G20. 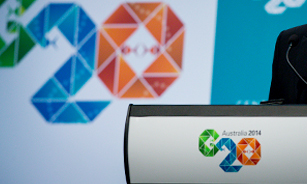 In my work with the Australia B20 group, I have been continually struck by the commonality of the issues faced by business in the G20 economies. Business and industry in Europe, China, Japan, Indonesia, Brazil, Saudi Arabia and the other G20 economies all agreed on the four common themes that are critical to success in a global economy: structural flexibility; free movement across borders of goods, services, labour and capital; consistent and effective regulation; and integrity and credibility in commerce. Four hundred business leaders and policy makers from 20 different countries agreed on a set of 20 mutually reinforcing recommendations for action by G20 leaders. It is noteworthy that the policy gaps identified for individual G20 countries by the international organisations (the OECD, IMF and World Bank) include the priorities of the B20: labour supply, other labour market reforms, product market reforms, and infrastructure investment. As a member of the B20 and on behalf of Ai Group, I urge the Leaders to acknowledge that it is business which grows economies, and that facilitation of business and industry is the key to creating jobs and lifting living standards. The B20‘s recommendations are mostly structural reform measures that together would enable business to deliver the G20 growth target. The policy undertakings of each G20 country are not yet public, but the response of the individual G20 countries and of the G20 collectively, will determine whether the Brisbane Action Plan is of practical benefit to global business.